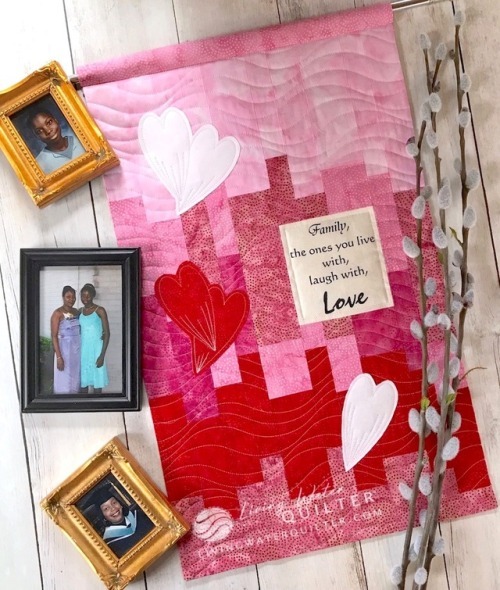 The products used in this project were given to me by Island Batik, Hobbs, and Aurifil. 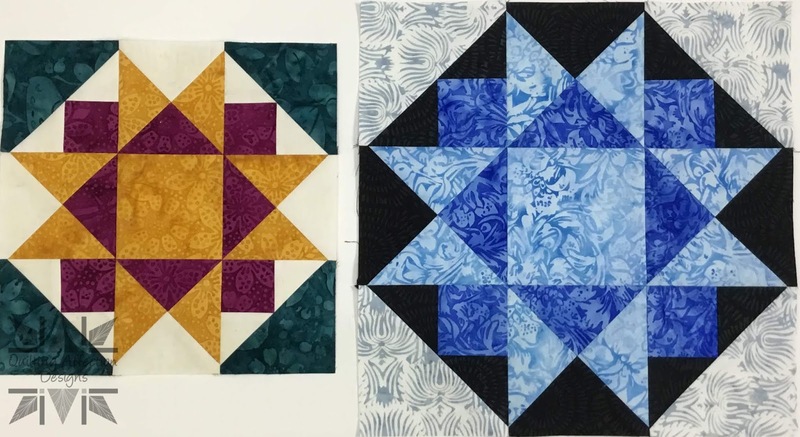 Sunday morning, as I left the Purim celebration at our synagogue, I took a peek at the new Project QUILTING challenge that had been announced that morning. Craving Chocolate. I immediately had a plan. 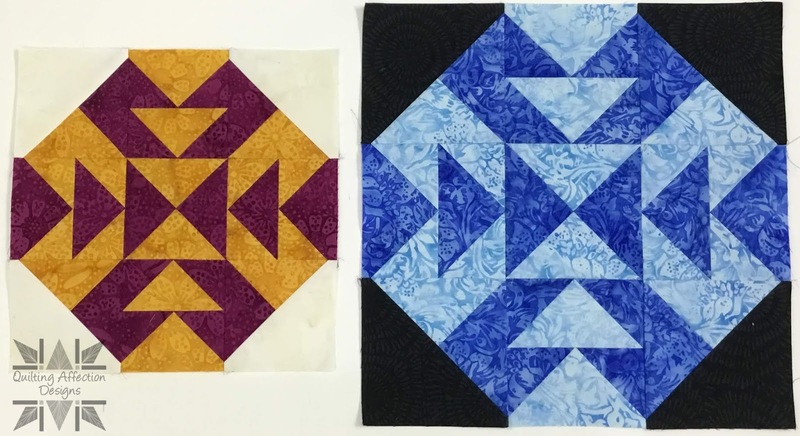 I would make a quilted hamentaschen. The bunnies are back for more carrots! 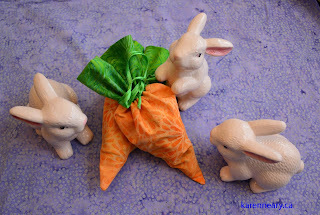 Last year, I made these adorable carrot treat bags using Island Batik fabrics and a tutorial on the Make It Love It site. I purchased these ceramic bunnies when our boys were little, and bring them out every spring. They never looked cuter than when pictured with these vibrant (giant!) orange carrots. The treat bags were all given away as gifts, so clearly we needed some carrots which would stay here. How is everyone doing with their Graceful Point Blocks so far? Please remember, there is plenty of time to catch up on the first three blocks if you haven't started. 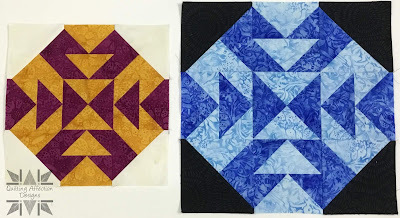 You can read all about them here Block One - Ohio Star Variations, Block 2 - Crowning Glory, Block 3 - Capital T Variation blog posts. Remember the download are always available. Sometimes you just have to get started. Then the ideas will finally come…. 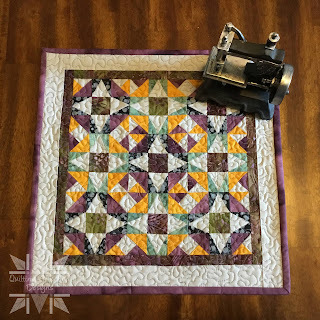 This week I have been working on my crazy diamond quilt idea from my previous post. 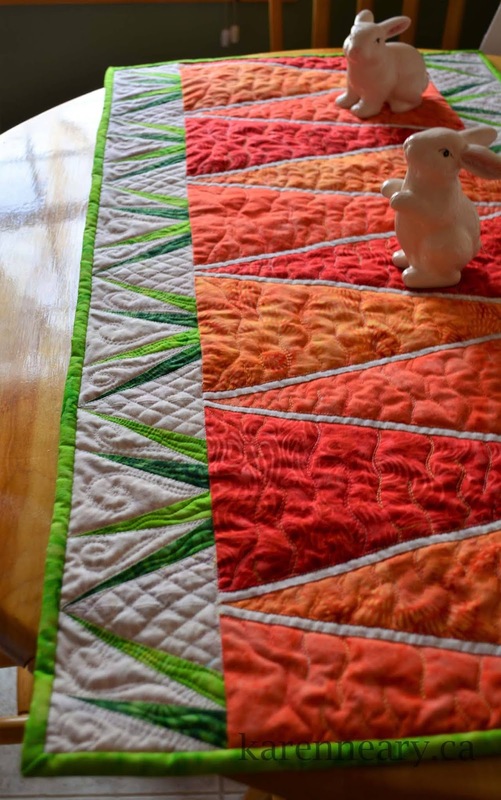 I started this quilt with very little idea where I was headed…. A bit scary!……. But to put it off much longer would have been inviting worse disaster. Like, no quilt at all…. As many locals now know, Mrs Pugsley's Emporium recently began stocking Island Batik fabrics. 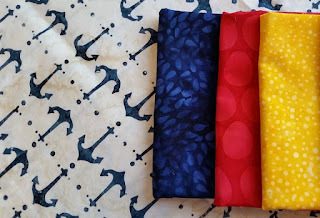 For me personally, that's a big WOO HOO to be able to get these gorgeous fabrics locally! Included in the first load of fabric the shop received, was a white and blue anchor print which took my fancy. Paired up with blue, red and yellow, these bright primaries are perfect for a baby quilt. Today is block 3 release day. How is everyone doing on their First two blocks? 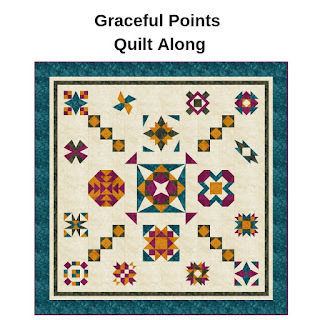 There are several beautiful blocks in our Graceful Points QAL Facebook Group. There is still plenty of time to catch up if you are interested in getting started. 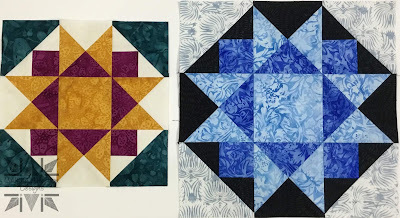 Read all about Block One - Ohio Star Variations and Block 2 - Crowning Glory blog posts. Remember the download are always available. 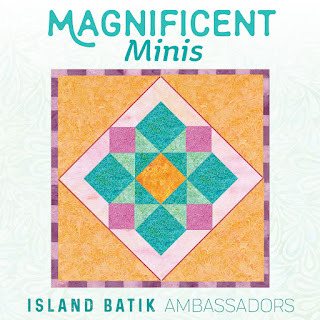 Yesterday I shared that I'll be continuing as an Island Batik Ambassador through 2019! :-) Our first project of the year is Magnificent Minis! 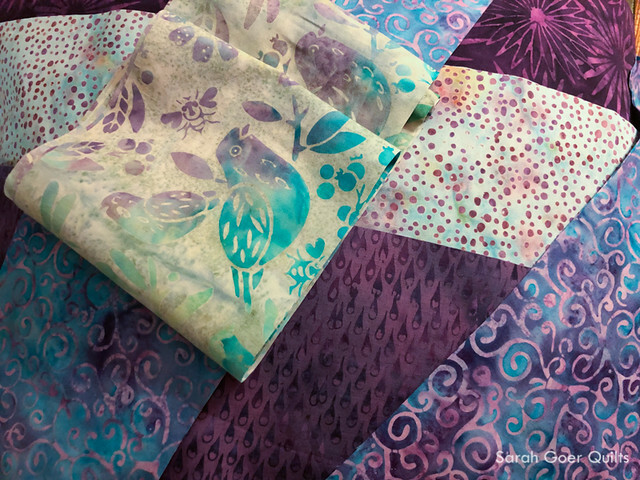 When I opened my box last month one of the fabrics that caught my eye was a lovely aqua and purple dot print in one of my 5-inch strip packs. I used that as my inspiration for the mini and chose other prints from the 5-inch strip packs to coordinate. 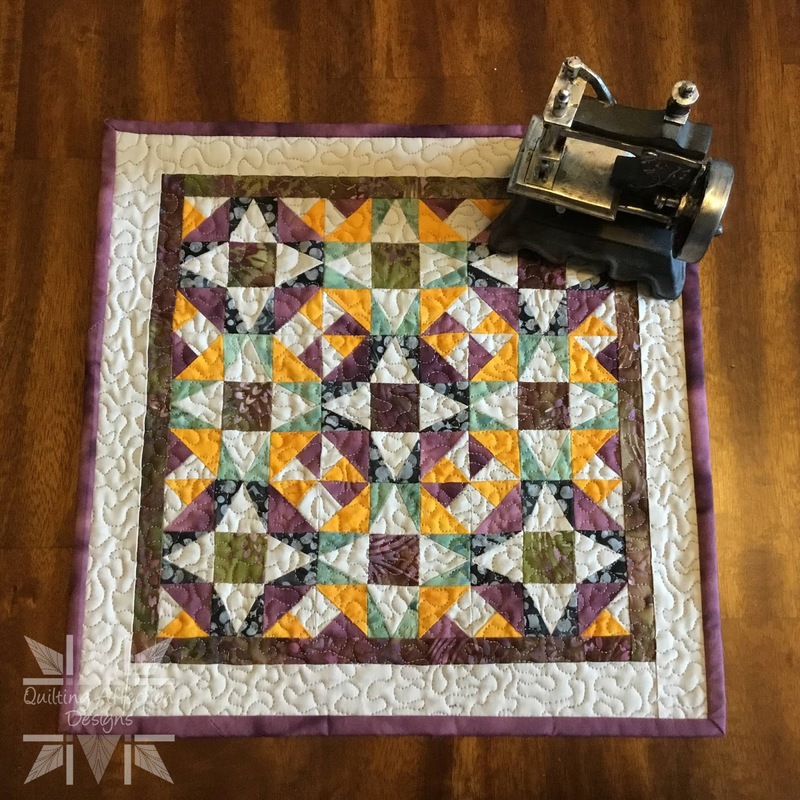 I opted for a medallion style mini featuring a piece of the lovely birds as the center. I'm on board for another trip around the sun with Island Batik! Here's a peek of the two boxes of goodies that arrived for me last month! The video ends with a compilation of my 2018 Island Batik projects. 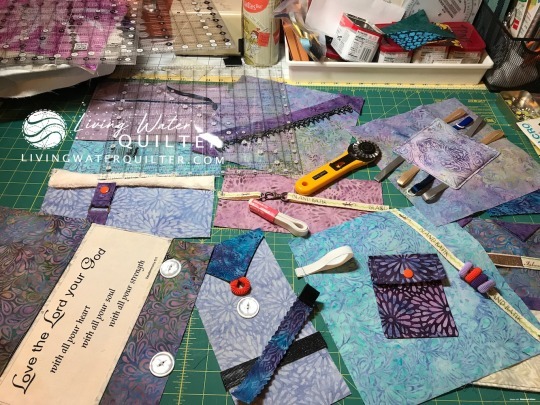 Thank you to Island Batik, Aurifil, Hobbs, and AccuQuilt! 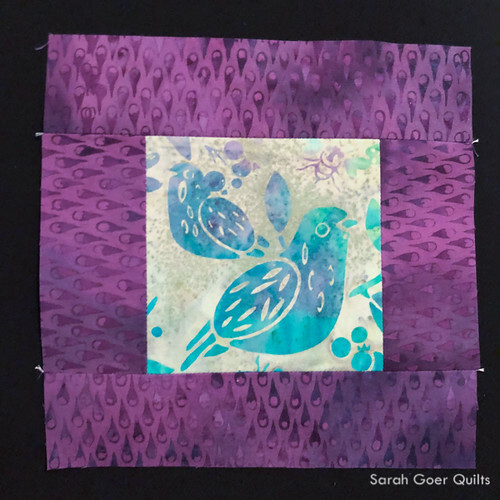 The post Island Batik Ambassador 2019 appeared first on Sarah Goer Quilts. 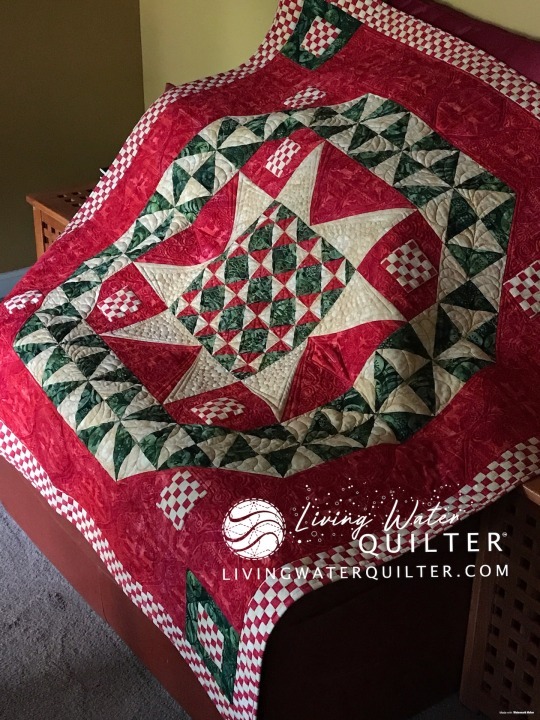 Is it too early to start planning your Christmas quilt? 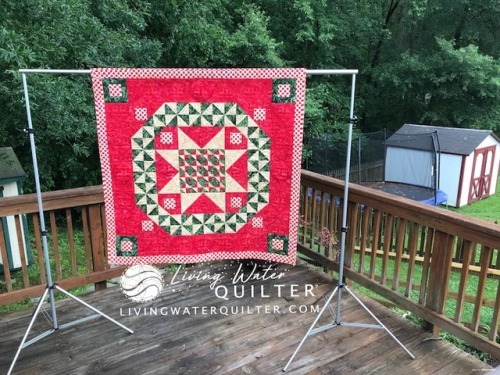 My newest pattern, Morning Star, is a featured quilt pattern for Island Batik’s Candy Cane lane. Designed by Kathy Engle, Candy Cane Lane, is part of Island Batik’s Fall 2018 collection. Candy Cane Lane is available at an Island Batik seller near you. Find Island Batik online at Missouri Star Quilt Co.
Island Batik has provided the fabric for Morning Star and giveaway. It’s only the 24th of February and I have completed this month’s planned Love with a Twist February blocks. And even better, the patterns too! Wonders never cease! 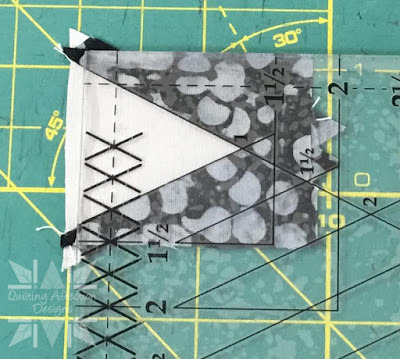 Today’s Love Balloon pattern is the second option for the large centre block of the Love with a Twist throw size quilts. You’ll also need it for the twin size quilt. It’s an easy block, I think the fastest so far. It only has two fabrics and no extra details to embroider. Wow, I am so excited! Please, someone pinch me! :D As an Island Batik Ambassador I had the opportunity to design a quilt for an Island Batik Fall and Winter 2018 fabric collection. 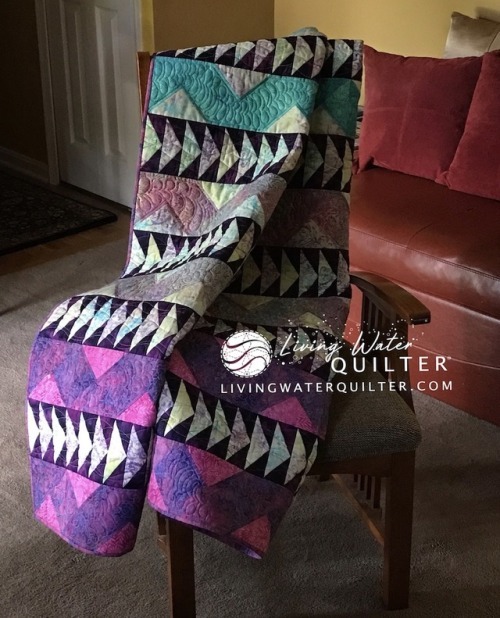 Browse the fall catalog and see all the yummy fabrics and beautiful quilt patterns. Heading Home features Blossom, a beautiful collection by Kathy Engle. The Blossom collection is available at an Island Batik seller near you. Also find Island Batik fabric online at Missouri Star Quilt Co.
Over the years, I have watched my sister’s love for her children in action. She, like many mothers, offer their lives in time, energy, devotion and many untold sacrifices because of love. 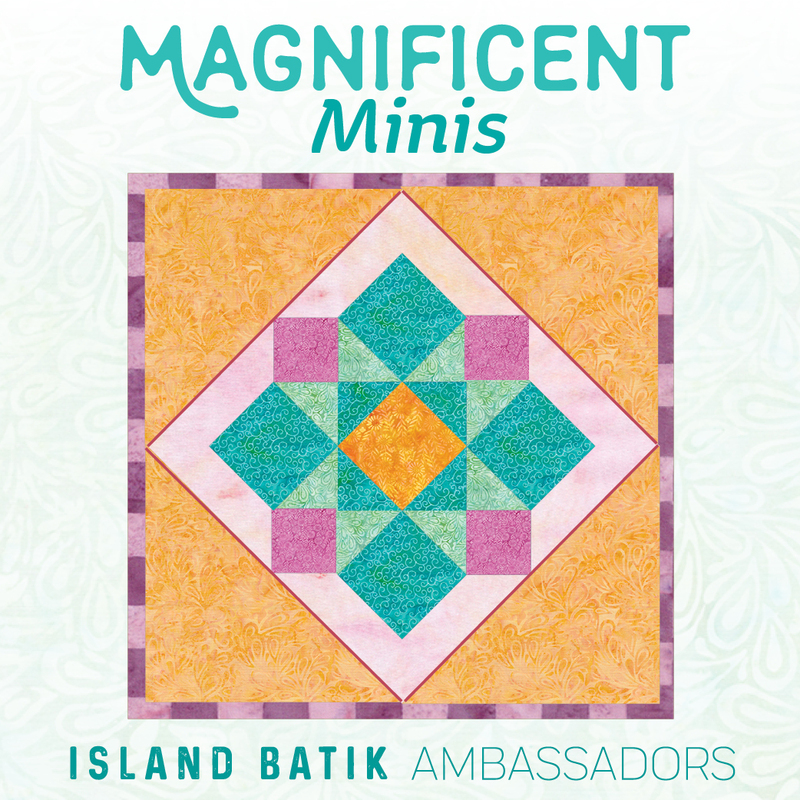 For the February Island Batik Ambassador challenge, I designed a banner. Have your heard or read the words, “His banner over me was love”? A love banner is a public declaration of love. 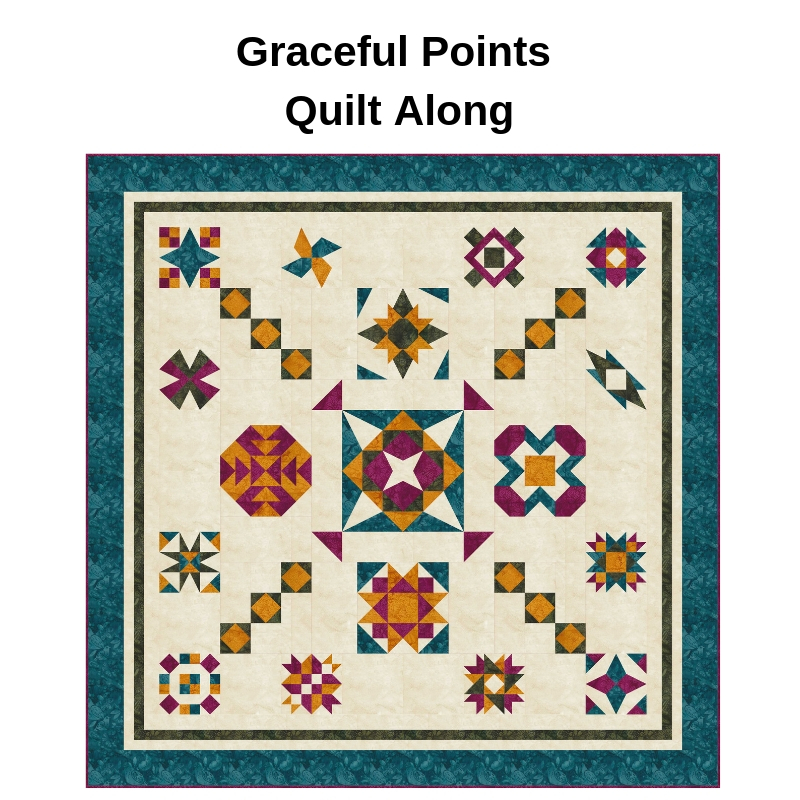 Wow, two week goes by so quickly, how did Block 1 for your Graceful points QAL go for you? I hope you had fun. If you miss Block 1, you can catch up by reading all about it through the Graceful Points QAL Kickoff Post. Well let's get started with Block 2- BlockBuster #2 – Crowning Glory. 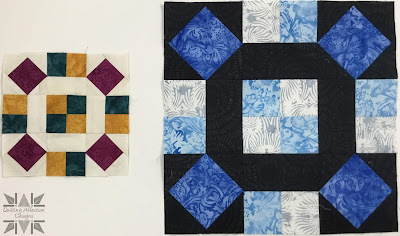 We will be making the following block sizes depending on your quilt size; 9" Finished (wall) and the 12" Finished (King). February’s first block for the Love with a Twist quilt along is “Happy Hog”, the prancing balloon pig. It seems only fitting to do the pig block next as the first block of the new Lunar year. Ditty is the name of one of Island Batik’s latest fabric releases. The colours are as cute as their name… Kind of a pastelly sunset. Actually, I don’t easily recognise them as pastels but I guess that is what they really are, since they are nowhere near colour-saturated. Is there such things as bright pastels? If there wasn’t, there is now. 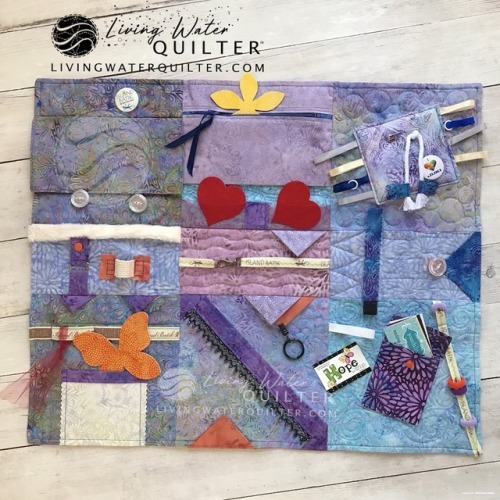 Making a child-like activity quilt for my 85-year-old mother, Amanda, was wonderful and emotionally difficult at the same time. Amanda, is a retired nurse, mother of five, grandmother of 10 and great-grandmother of four. 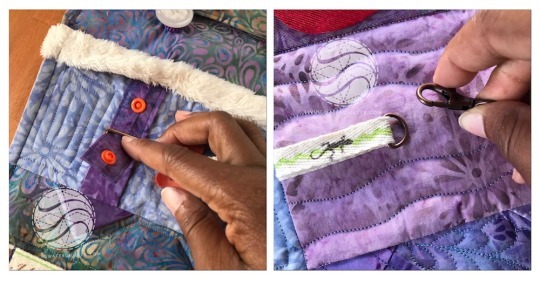 Cookie, my sister and Amanda’s full-time caregiver, requested I make our mother a fidget quilt to help ease dementia anxiety. 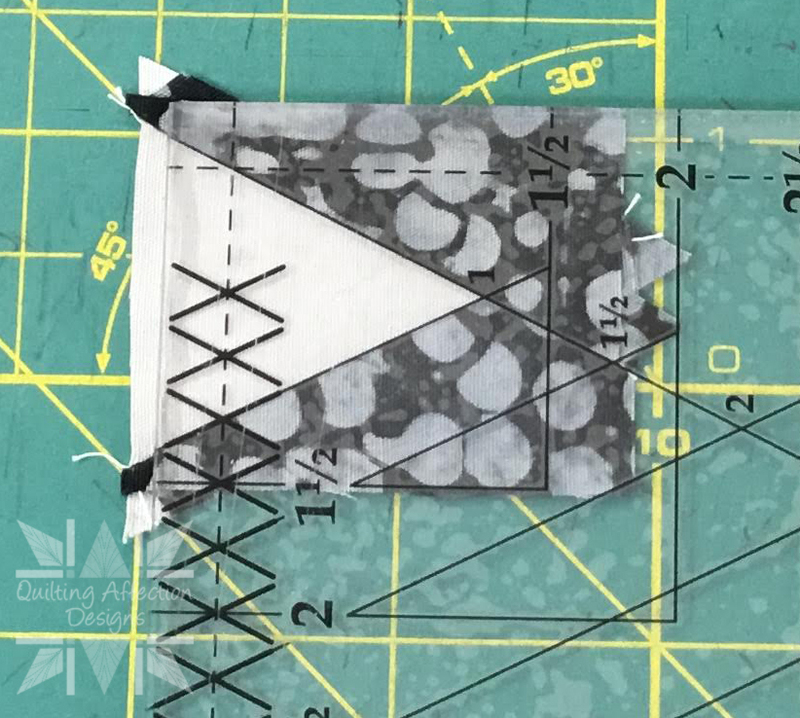 So, I began with Island Batik’s Crystal Ball 10-inch pre-cut fabric stack. 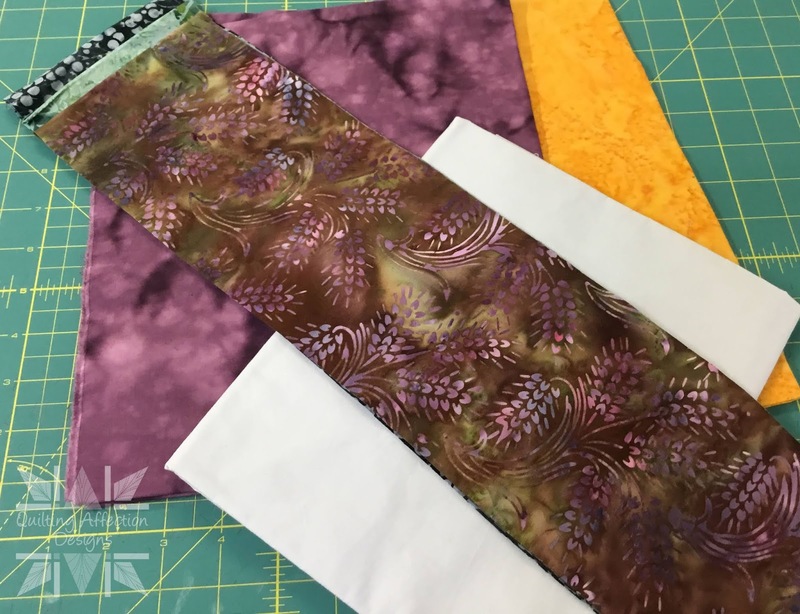 I’m thankful for the generosity of Island Batik, which provided the fabric as part of the Island Batik Ambassador program.